KISS by Monster Mini Golf location is a unique 14,000 square-foot “KISS themed” attraction that showcases an indoor glow-in-the-dark custom-designed, rockin’ 18-hole miniature golf course filled with state-of-the-art video and never-seen-before KISS props. In addition, a live DJ rocks the house, throughout the days and many “Crazy, Crazy Nights” with continuous KISS music, trivia, contests and prizes creating a destination embraced by locals, tourists, and rockers of all ages. The course is surrounded with arcade games, a KISS Museum, a special event room, a colossal sized KISS and rock ‘n roll gift shop, and the one & only “LOVE IT LOUD” Rock & Roll wedding chapel. 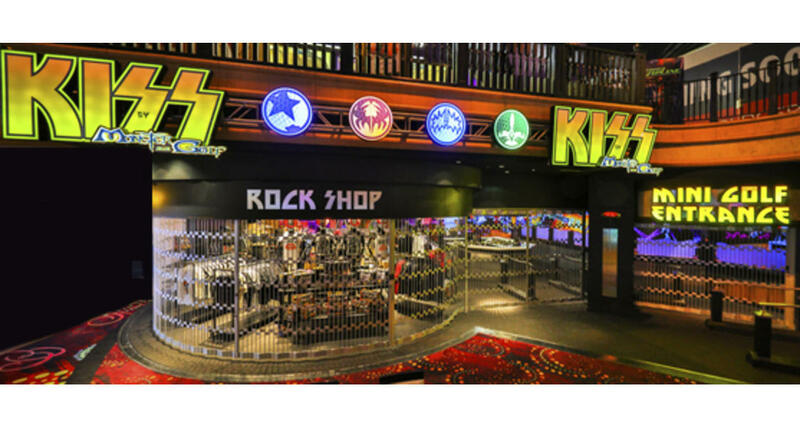 KISS by Monster Mini Golf @ The Rio All Suites Hotel & Casino is located in the Masquerade Village on the Casino floor level. Open from 10am to 12am daily.